Venus turns direct on Sunday, but it is not until Friday (April 21) that Venus begins to break free from the clutches of Saturn at which point things involving Venus will begin to feel lighter again. The fact is, the hard angle from Saturn to Venus was likely to cause us to not feel appreciated and now that Venus is free and direct, it is time to make a conscious effort to forgive or tolerate those we haven’t agreed with. We should distance ourselves if it feels healthy to do so, but we should do so with acceptance that others are entitled to think or be the way they are. Venus in Pisces sextile Mars in Taurus (April 17 – April 30) brings opportunities to situations involving love and beauty. Venus emphasizes the vibrations of love, magnetism, beauty and sensuality. The Mars influence emphasizes the awareness and application of action, movement, involvement and also harnesses focuses of strength and energy. Many love matters may be stirred; Venus reminds us to draw towards ourselves the pleasures we desire. Mars is reminding us to apply action with love. Last Quarter Moon in Capricorn on April 19 connects our moods with a serious undertone of needing and wanting to take hold of our goals and summon results. The Saturn-ruled Capricorn emphasizes time and the timeliness of important events. This may be a time of addressing the importance of pending deadlines. Is it time to proceed or is it time to let go? Certain quests in life may not be meeting personal needs. Is something which lacks substance taking up too much time in your life? Life is so serious with Capricorn Moon, and in its last quarter waning state it reminds us that in order to be in control we must let go of what we can’t control. Mars, the planet of war, energy, action and force enters Gemini , the sign of thinking, communicating and duality on Friday (April 21 – June 4). When energy is harnessed, action manifests as oral or written communications – and all of these expressions will have a fiery and inspired flare. As a general rule, Mars in Gemini helps to stimulate and activate dual perspectives, making it easy to see and understand both sides of a heated discussion while making it more difficult to take sides. This is a good time to avoid being talked into fighting other people’s battles – watch out for smooth talking recruiters. Venus in Pisces square Saturn in Sagittarius (April 21 – April 30) creates obstacles and restrictions concerning the timely expression of love. This aspect sometimes creates blocks in the flow of care and love due to external responsibilities and restrictions that cause and create separation. It may be difficult to engage in some romance, as there may seem to be something always getting in the way. Sometimes people are distracted from properly providing care and concern where it is most needed due to the high demands of the world at large. No matter how much one prioritizes their focuses of love, it is still likely to be misinterpreted on some level during Venus square Saturn. Aries: Hopefully the dust has settled on the dramas of last week, and now you can contemplate more material matters: work, money, possessions etc. Something here needs sorting or resolving. You might need to have that conversation you’ve been putting off, or an idea that you have could pave the way for a better financial situation. Either way, Mercury retrograding through your financial zone means that you won’t be able to bury your head in the sand about a money matter, and this would be a great week to sort things out. With the Sun and Mars also in your money area, it should be easy enough to feel motivated and confident to make the sort of changes that will benefit you in the long term. The message for this week is to go for what you want. Don’t be afraid to ask for a pay raise or some other financial favor if you feel you deserve it. And if you genuinely feel you do deserve it, then the universe has no choice but to give it to you. Taurus: Saturn’s square to retrograde Venus prompts the question: “In what way are you holding yourself back?” The two main areas that are likely to come up for examination are finances and relationships. Friendships might need to be scrutinized, and it could seem that people in general are not making life easy. Look more closely and you might see that difficult people are mirroring something in you that’s ripe for healing. For example, if someone isn’t treating you very well, in what way do you not treat yourself well? If finances are lacking, is it because deep down you don’t feel deserving of abundance, or do you feel that money is a bad thing? See any problem as an opportunity to learn something about yourself and remember that with the Sun (from April 20) along with Mercury and Mars in your sign, there is no reason why you can’t be an assertive force to be reckoned with. Gemini: As Mercury backtracks through your zone of endings, this is a time for closure and stillness. It could be that you’re coming to the end of a phase in your life that requires you to understand yourself better. Channeling your energy into artistic, creative or mystical pursuits will help you to divine the answers that you seek, so a spot of writing, journaling, painting, meditating or creating a scrapbook or photographic album could be helpful. As the week draws to a close, you might notice a drop in energy. If so, this is your cue to rest and assimilate all that has happened in recent weeks. Cancer: As Mercury backtracks through your social zone, issues could come up connected with a friend, a group, or an organization. If it hasn’t already been resolved, you have a few more days yet to make any necessary changes and tie up loose ends. Questions to ask might include “Are my friends of like mind? Do they support my vision? Do we have similar hopes and dreams?” It’s also a good time to contemplate how you can be a better friend and to catch up with friends you haven’t seen for a while. On another level, this is also a pertinent time to contemplate your role within society and whether you’re happy with what you give to others and the world. Leo: The Sun’s entry into the success region of your chart makes this the ideal time to press forward with your aims and ambitions, get yourself noticed, and generally enjoy your work. However, with Mercury backtracking through the same place, this might not be a time of smooth sailing (although things will improve considerably from April 21). You might need to go over old ground or attend to something you thought was finished. This is a good week to tie up loose ends and sort whatever needs sorting and then by the end of the week, you should be in a much better position. Virgo: As Mercury backtracks through the heavens, you might feel inclined to wonder what life’s all about. Questions relating to your purpose and the meaning of life could emerge this week. Other signs that you’re searching for higher answers include a sense of malaise or not being sure whether you’re on the right path – or even on a path at all. Perhaps what’s needed is a trip to blow away the cobwebs and broaden your horizons. You could go in search of answers by consulting with someone who helps you see yourself in a new light. Remember that it’s difficult to make progress with plans when Mercury is retrograde, but by taking time out and asking some searching questions, you might well emerge in a few weeks with a much clearer sense of where you’re heading. Libra: Although the heat should have calmed from last week’s events, you might still feel that little progress has been made. But hang in there; Saturn won’t be squaring up to Venus for much longer, at which point life should begin to feel a whole lot easier. Maybe you’ve had some heavy-duty challenges to shoulder. Maybe finances haven’t been great or a relationship could have been a source of angst. As the planets begin to pile up in your psychological zone, it could feel as though the intensity isn’t letting up. It might be helpful to chant Nietzsche’s mantra of “that which does not kill us makes us stronger” several times a day. While most of us long for an easy life, it is adversity that strengthens us and makes us into more rounded characters. The key to any difficulty – financial, romantic or otherwise – could lie within your self-worth. Whatever appears to be lacking in your life, ask yourself whether you truly feel you deserve it. When we feel deserving, the universe will supply it to us with abundance. Scorpio: The planetary picture is much more settled this week; however, finances could still be a sticking point. Most of us have more than we need and spend too much time worrying about situations that never come to pass. It might be a better use of your time and energy to redirect your attentions to your relationships since this area is the current hot spot in your chart. Much progress can be made here so long as there’s a willingness to communicate. 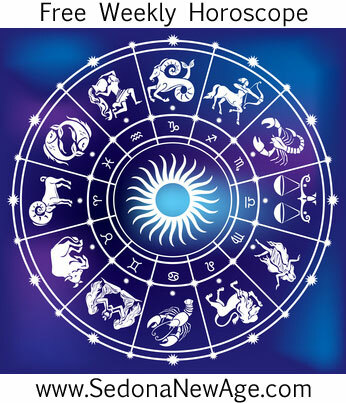 Mercury backtracking through your partnership zone suggests that there could be one or two problems that need ironing out, but when the Sun enters this same region on April 20, things will begin to improve dramatically. Sagittarius: As Mercury backtracks through your zone of health and work, you might need to be extra patient in these areas of your life. Instead of trying to make progress with personal or work projects, take the time to reorganize things so that your life can flow in a more structured fashion. It is a good idea to tend to any jobs that have been building up, reorganize filing systems, sort out paperwork and accounts, and generally get everything in order. If there’s room for improvement with your health, apply the same rules – perhaps tighten up your dietary and lifestyle regimens. Start a yoga class, or commit to a daily walk or meditation. When you make improvements to your daily affairs, you will begin to feel better in mind, body and spirit, providing the perfect foundation from which to make progress in other areas of your life. Capricorn: As Mercury retrogrades through your house of creativity and authenticity, you might be feeling the need to march to your own drumbeat. Children or creative projects could be difficult up until April 20, so you might need to be patient until circumstances shift in your favor. Creative activities that enable you to express yourself or to gain insights about yourself will be productive, however. If your life feels a bit stuck, get out the paints, the camera, the pen and paper, or the musical instruments and enjoy a little self-expression. Spend some time considering who you are, what you want, and what makes your heart sing. Then give yourself permission to do more of what you love. It’s all too easy for Capricorns to become dominated by work and business. Even hobbies and creative activities often need to have a goal behind them. Occasionally, it might do you a world of good to do something just for the sake of enjoyment. Aquarius: With Mercury backtracking through your domestic area, this is an ideal time to spring clean while also taking into account some feng shui principles. Consider how your home might be mirroring your inner state. If something isn’t working in your life or if there’s room for improvement, try making a few changes to your environment. Clearing clutter is an ideal place to start, and fixing and mending any annoyances will have psychological benefits. Another good use of Mercury moving back through this area of your chart is to work through any childhood issues or problems from your past. For example, forgiving your parents is a great thing to work on under this transit, or if there is no one to forgive, spending some time reflecting on your past could be useful. It is trendy in certain circles to almost pretend the past doesn’t exist, as we’re always encouraged to be in the now, but the past shapes us and gives us the foundation upon which our present is built, so periodically examining that or giving praise for it, can strengthen our current position. Pisces: Mercury is retrograding through your zone of travel and communications. Double check all important arrangements – travel, appointments and meetings – and allow yourself extra time to accomplish work and for getting from A to B. Ideally, you should pencil in some down time because Mercury retrograde loves it when we relax, and as he slows down, our minds are meant to slow down too. If we don’t and we are caught up in busyness, glitches can occur. From April 20 on, things get smoother, but you will need to turn your attention to your finances from this point, examining what works and what doesn’t. Perhaps let go of some unnecessary possessions. Be prepared to welcome and follow any innovative ideas for generating more cash, and remember: “In life, you don’t get what you deserve; you get what you negotiate” (Chester L. Karrass). Sun 01° Taurus 41' 25"
Moon 05° Sagittarius 55' 10"
Mercury 06° Aries 19' 29"
Venus 01° Aries 43' 53"
Mars 14° Gemini 22' 43"
Saturn 20° Capricorn 28' 01"
Uranus 02° Taurus 28' 44"
Neptune 17° Pisces 46' 37"
Chiron 03° Aries 35' 05"